I am also really proud of what we’ve achieved here as it shows what can be achieved by focusing on what really works and avoiding the non-sense. 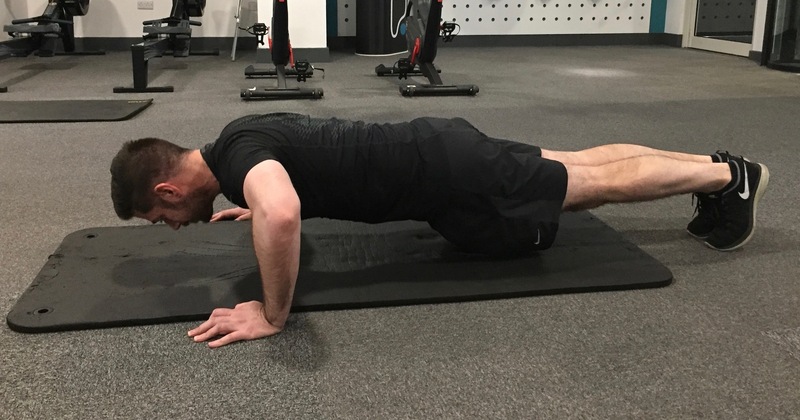 I sometimes feel that far too much of my job is dispelling fitness and training myths such as; not eating carbs, doing fasted cardio, not eating after 6pm and training using body part splits. When really the science and reasoning why we should do things the way we do is simple if we allow it to be. I appreciate that putting theory into practice can sometimes be tricky. However, by focusing on the correct things and with a little organisation and willpower, you can normally achieve the results you want. 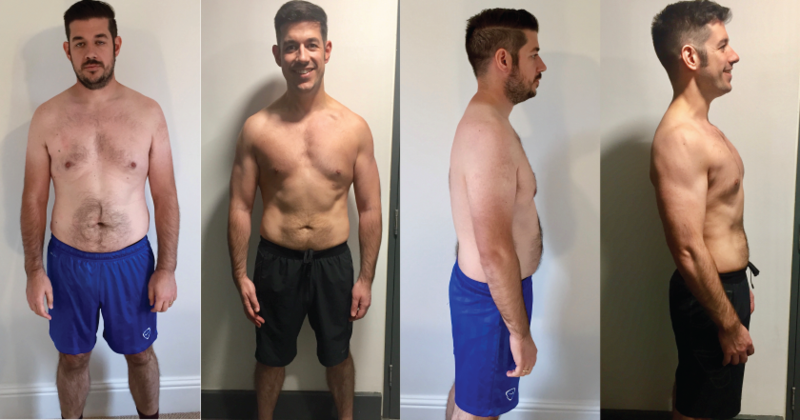 Wes has lost 8.3kg, reduce his body fat by 7.9% and lost 12cms from around his waist. Wes also increased the amount of energy he expended. He exercised regularly and followed a program that meant we trained twice a week together and he trained once by himself. He also moved more throughout the day by aiming to do a minimum of 10,000 steps. Each session involved 8 exercises and ensured that we trained each major muscle group 2-3 times and included 10+ sets per area. We used a range of training intensities and repetition ranges from 6-20reps. Wes mentioned that this helped him to maintain focus and keep motivated. 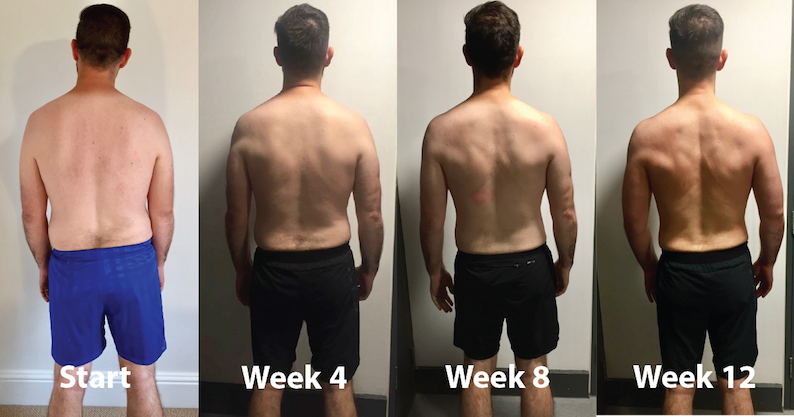 Every 4 weeks we measured Wes’s body fat and took photos. This helped Wes to notice the progress he had made. We also noted down the weights we were using during training sessions. By doing this it gave Wes the opportunity to compete against himself and also monitor how much he had improved. 4 – We focused on being as good as possible – not perfect. I think it’s really important to focus on all the things you are doing right and not what you are doing wrong. Your aim should be to stick to 80-85% of the program and guidelines set. Perfection doesn’t exist in real life and aiming to be perfect applies unnecessary pressure. I feel this approach increases your chances of success and adherence. I’d like to thank Wes and the organisers at Pure Gym for the opportunity to be part of this competition. My approach to training has always involved being honest about what is achievable, something that I hope is reinforced by taking an evidence-based approach. Fitness marketing pictures are often met with an understandable element of scepticism. 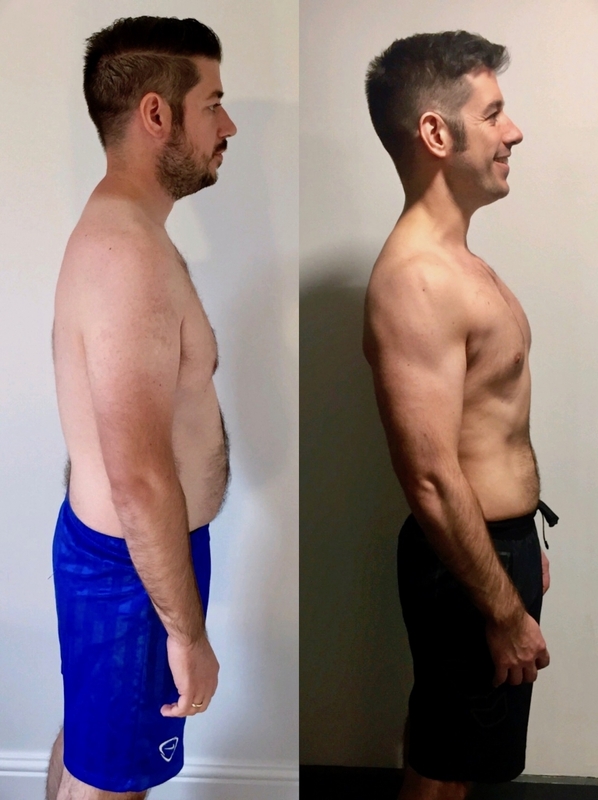 However, I hope that by Wes sticking to the program and having external photographers take photos at the start and end of the 12 weeks people can see what is really achievable through good training and commitment. I’d like to begin to wrap this up by mentioning all the positive transformations I noticed in Wes that were not measurable on scales or from photos. 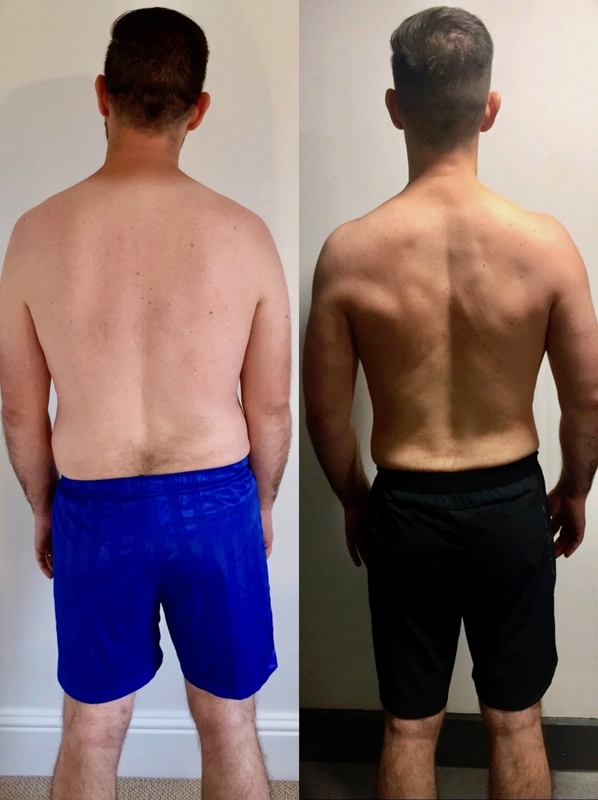 Over the last 12 weeks, Wes has really grown in confidence in the gym and has developed a greater understanding of his training and nutrition. 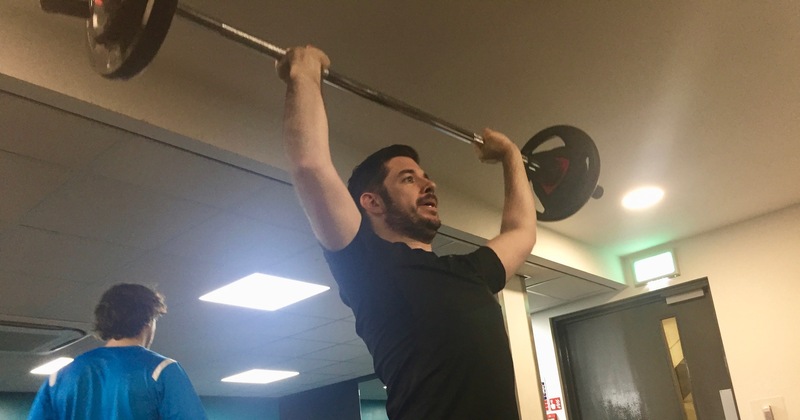 His training style has completely changed, he looks very comfortable training in the free weights area, he knows all the major muscle groups, how to train them and could put his own programs together. He’s even fluent in gym-speak! He is able to make better food choices and understands how to adjust things in his diet to get the outcome he wants. I’ve also noticed a real spring in his step over the last few weeks and maybe even a subtle swagger. For those of you that have followed our blog, you may have remembered that Wes wanted to be able to do 3 sets of 6 Pulls ups. Well, the final cherry on the cake was that this happened in week 12. That’s it, the 12 weeks have finished. At the start of the program, as I fought back the sickness during our first session, the 12 weeks seemed like it may take a lifetime. But once I got into the swing of things, it seems to have flown by. I am now in the best shape I’ve been in for 18 years. Chris mentioned in our first blog that I had asked to train with him again following a difficult year. The last 16 months have been the most difficult of my life. Mentally I was not in a position to concentrate on any kind of regular exercise. In addition to this, I found that I was drinking more alcohol and as a result, my weight was increasing and I was becoming more and more unfit. During the summer, I decided that I needed to work on my fitness and diet. I returned to the gym on my own. I couldn’t really get into any regular routine by myself and I wasn’t really seeing any results. My weight was yo-yoing and I was losing motivation. Eventually, enough was enough and I called Chris to see if he could help. It proved to be one of best decisions I have made for myself this year. 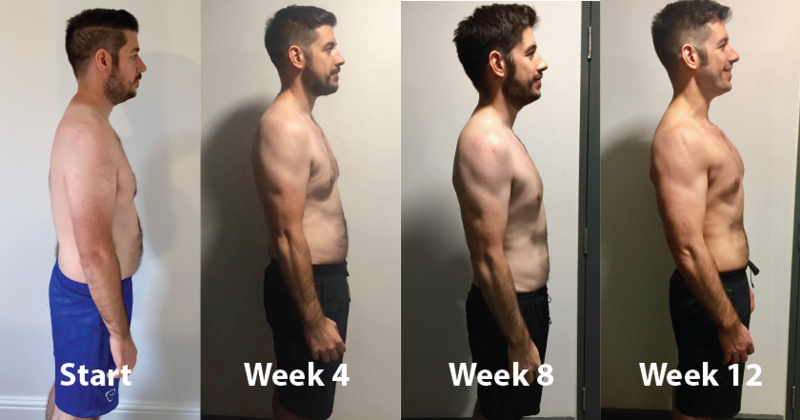 I agreed to start seeing Chris twice a week and committed to training for 12 weeks. Before we started training we met and Chris walked me through what we’d be doing for the next 12 weeks. He taught me how to set out my eating plan and the importance of calories and protein. Even though we had done this once before via email I was still surprised to be reminded that no foods were off limits. Everything was explained in a straightforward and easy to understand way. 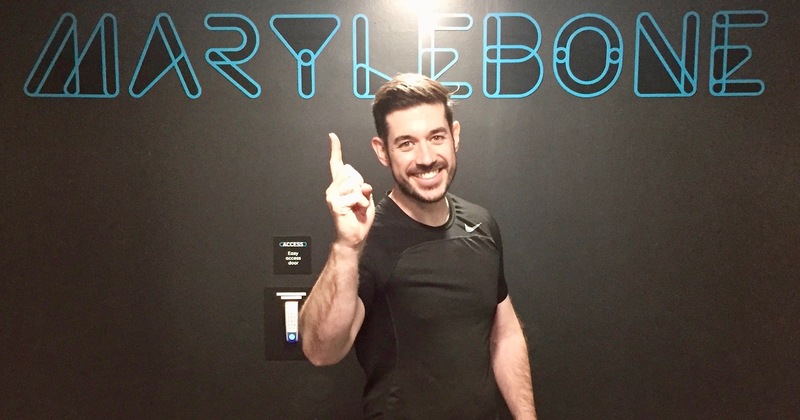 I instantly felt more accountable and confident that although it was going to be challenging I would be able to stick to the exercise program we had discussed. I’m glad to say that many of the things we spoke about soon became daily habits. We also took measurements and set some goals prior to starting. Chris suggested aiming for a weight of around 78-80 kilos. I also asked him what he felt would be achievable in terms of reducing my body fat. 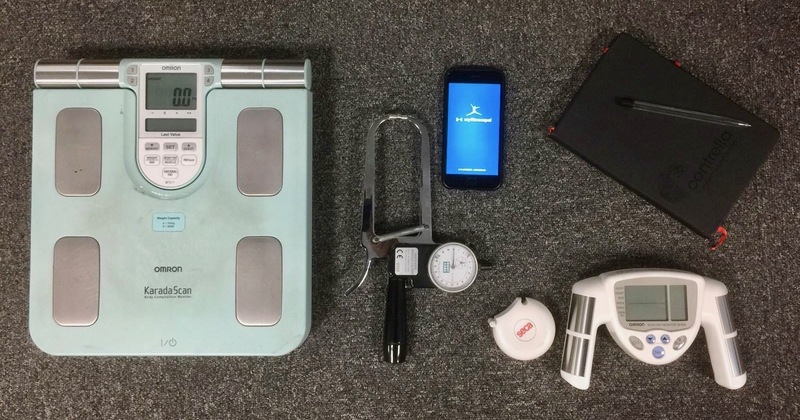 Chris felt that a body fat percentage of 15-16% could be attained. I also wanted to be able to do 3 good sets pull-ups. 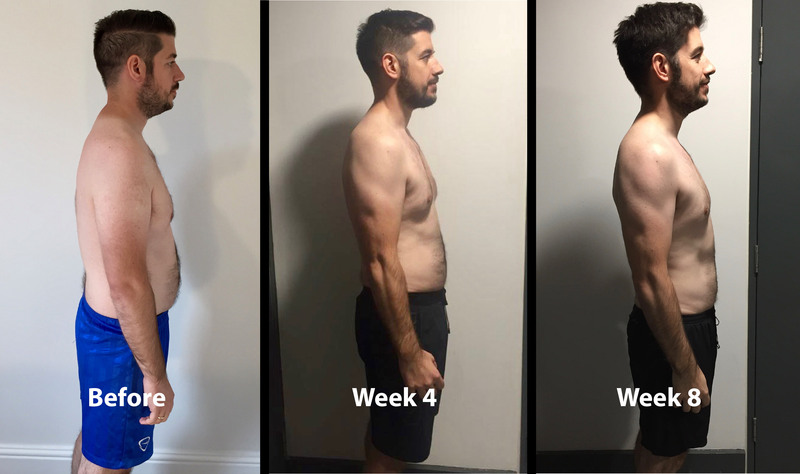 Throughout the 12 weeks, there have been a couple of key moments that have kept my motivation high. Firstly, the measurements after 4 weeks, where I lost over 10cms on my waist. 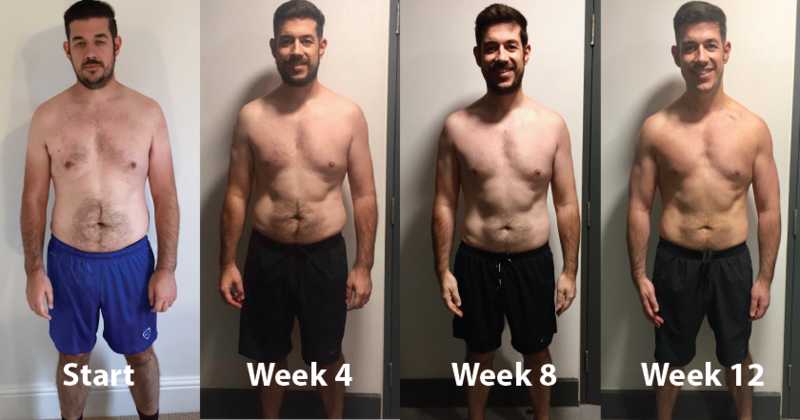 Following this, when I thought my weight loss had slowed down around week 8 I was disappointed but after taking my bodyfat measurements I found out we had already reached Chris’ initial goal. Other things that kept me going to the gym were seeing my progress whilst training with Chris. He would constantly remind me when the weights I was lifting were increasing. He also knew when to push me and when I was ready to do more. Training in Pure Gym really helped. 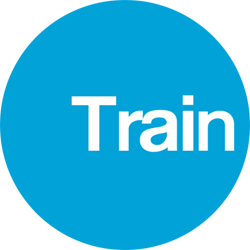 I had a multi-gym membership and over the 12 weeks trained at several sites as it was more convenient. Every gym had a huge variety of machines and a massive stock of free-weights. This meant I was always able to complete my program and never had to wait very long for equipment. 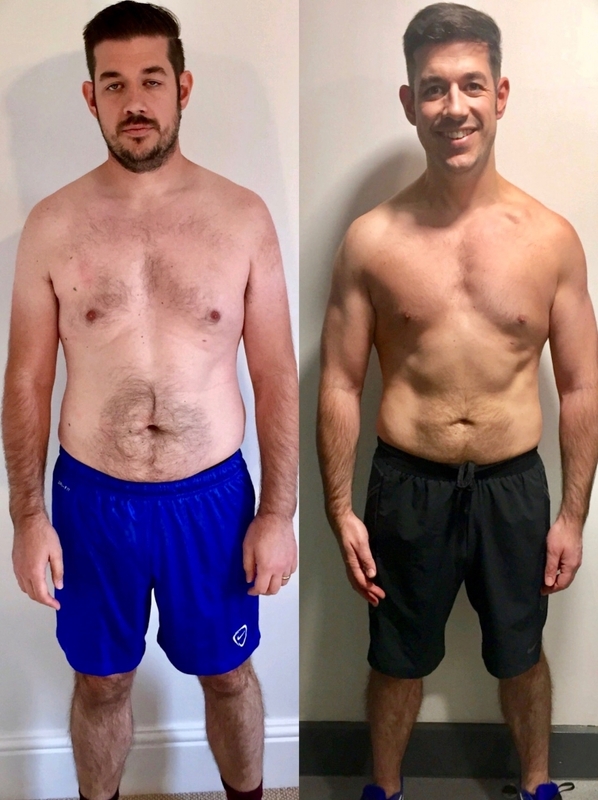 As well as the obvious physical results, the program and Chris have helped me mentally too. After workouts, I was finding myself regularly feeling in a better place. This isn’t just down to my brain’s natural reaction to exercise but also thanks to Chris asking and listening to what was going on with me. Daily habits such as; concentrating on my health, making sure I move as much as possible and eating right have helped improve my mental wellbeing. So after 12 weeks, I am physically and mentally in a much better and healthier place. I would definitely recommend training with a trainer to anyone that wanted to get results and get into shape. Thank you Pure Gym for the opportunity and I look forward to setting some new goals for 2018.